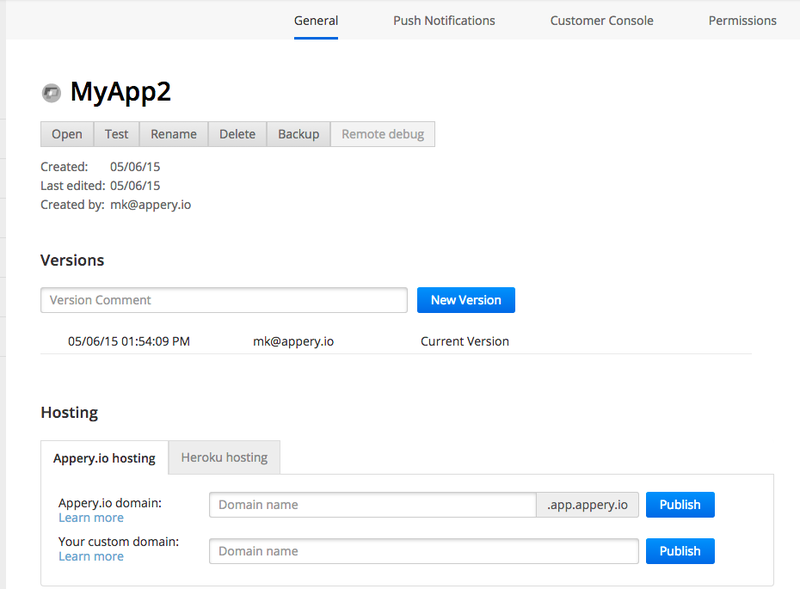 Second, you can also publish the app Heroku. 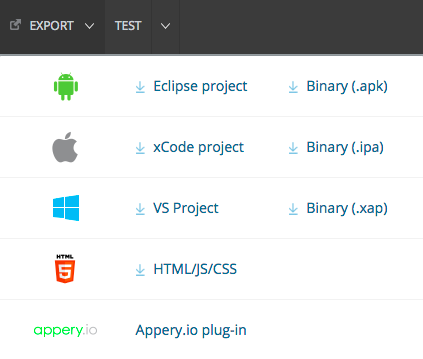 Once you sign into Heroku from Appery.io, the app will be pushed and published to Heroku. then upload the file to any hosting provider of your choice. Here is one example publishing to BitBalloon service. With the number of options available, hosting your HTML5 mobile app is very fast and simple. Want to try this? Sign up for the Starter plan (free) and learn more about the various hosting options.